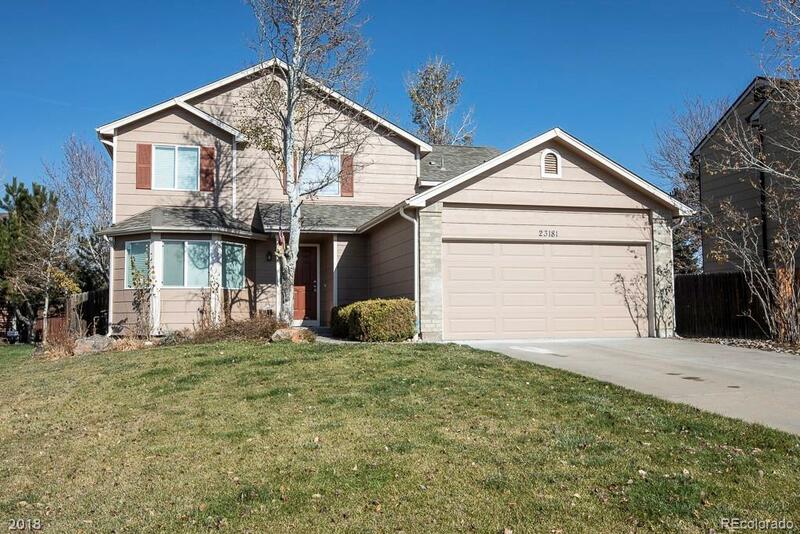 Ready to move in, 4 bedrooms, 4 bathrooms, backs to Open Space, on a Cul De Sac. Brand new carpet, interior paint, Furnace, Hot Water Tank, all new interior doors, new blinds, remodeled master bathroom with new shower doors. First floor is tiled and hardwood floors. Open bright eat in Kitchen, granite counters, SS Appliances, pantry. Formal Dining room open to vaulted Living room, half bath on main level. Lower lever has a large family room with fireplace. Large laundry room washer and dryer included. Large Master bedroom and bathroom with walk in closet on own level. Upper level has two bedrooms and a full bathroom. Basement has a rec room, bedroom and 3/4 bathroom. Large open backyard with huge deck overlooking open space. all fenced in. minutes to downtown Parker.